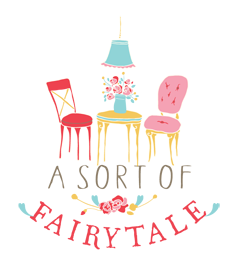 A Sort Of Fairytale: Style Series No. 4 - Color and Whimsy or White and Dreamy? Style Series No. 4 - Color and Whimsy or White and Dreamy? Color and Whimsy or White and Dreamy? Even though I am more drawn to color these days, I still think that a white and neutral pallette is very pretty. These rooms seem so serene...until the red wine gets spilled...ha, just teasing! That's why there's bleach and slipcovers! Love Color, But Don't Want Too Much? Want To Inject Some Color Into Your All White Decor? What do you prefer...Color or Whites??? Anybody that knows me, either in RL or blogland, knows I like color. No wait, lemme rephrase that. I love C.O.L.O.R. I must admit, for some people I may go overboard...but I can't seem to buy anything white. If given a choice, I choose color. i am a color girl. maybe just not as much as cath. great inspiration. i love both! when my kids were young, i lived with lots of happy color and whimsy. as they got older and life grew more complicated i found myself needing an oasis--a tranquil blanket of ivories and taupes to comfort. but thank goodness not everyone chooses to live with so much white, how boring life would be! i love all your rich inspiration here and so many gorgeous images, stacey. absolutely a crushworthy post!!! I enjoy rooms filled with just dreamy whites ~ but I am much more of a Cath Kidston type of girl. The pops of color just make me smile and bring happiness to the day in my opinion. Great post!! I LOVE white and I've tried to do all white rooms, but I just can't do it. I always wind up adding color. I start with white basic, sofas, tables, chairs, but my walls and accessories are full on colorful! I can't decide! I love it all!!!! That little bed is amazing! I actually love color in my decor...who knows, maybe I'll try the all white one day...er, uh, that is until my boys dirty it all up again! lol I don't enjoy putting things in the wash constantly, so maybe something in between is a good balance too! I love white but I have to have it mixed with sea greens and blues. Color, color, color. I love the photos of all white rooms, and it might be fun to try it in one room, but I am pulled toward color. I love the color! OK, I love the white too, but I don't see how doing white with small kids at home is possible, so color it is! Thank you so much for following and commenting on my blog. I'm sure you know how much fun that is when someone really likes what you do!!!! I jumped over to your blog and was squealing at the pictures. Especially the refrigerators, and the room settings, well . . . . pretty much all of it. I think we do have similar tastes from what I have seen on your blog. I am rushing off to county fair right now, I was up till late trying to finish a quilt and didn't get it done. I might try this morning but my fingers actually hurt from poking them last night so much. Hey at one in the morning you just aren't as coordinated I guess! Anyhow, I LOVE your blog and will be back to read all I have missed up till now. I'm actually looking forward to not having anything going on so I can catch up. I bet I live really near you, I am near the border. You'll have to email me when you get a chance and tell me where you are at. Wouldn't that be fun to be neighbors? Well at least live in neighboring towns? Have a great day, so nice to meet you! I like looking at photos of the all white rooms, but not sure that I could live without color in my life. As I'm typing this I am looking around my living room and notice that I have off-white walls and a lot of tan, cream and black in here. But there's also a bright turquoise dresser in the corner. So I may be eclectic. Or is that eccentric? Or just bad decorating taste? Great inspiration! I'm a neutral backdrop with pops of color kind of girl. i like them both, but the neutrals scare me a bit. i prefer color, only more natural, and not as bright. great inspiration, and love the little bed and fridge. thanks for partying with me! I love all these photos! Your post from last week's Share the Love Wednesday party is featured--stop by and grab a button! I'm with Eileen...I love a white room with my green and aquas added in. Great pictures and lots of inspiration and colour ideas for sure. I like the happy medium with the white and the punches of colour. It really pumps it up in a nice way. I adore looking at the whites in other people's homes and pictures but have problems doing it in my own...I need some colour. Love the refrigerators especially the pink one! Very pretty pictures! just found your blog and it is exactly what I am missing. and Those fridges are on my wishlist!! I love the color of red in the kitchen. I even have that color in my bedroom. I also like red, black, and white together. Your post was a colorful one and I really enjoyed it. Ooohhh! I just love all your white and dreamy photos!! So happy I stopped in ~ Happy WW!! Love the compromise! Thanks for adding this post to my Share the Love Wednesday link party! I AGREE!! I could not live in a house without some pops of color! I featured your post in my Favorites of the Week. Hope you can come visit!